The basic security setting for xampp is not secured with password. You have to change the setting if you want to increase your xampp security access. To check your security setting, from XAMPP main screen, click ‘Security’. Below is the default for first installation security setting. To change to security setting, you have to do it through Linux command line. 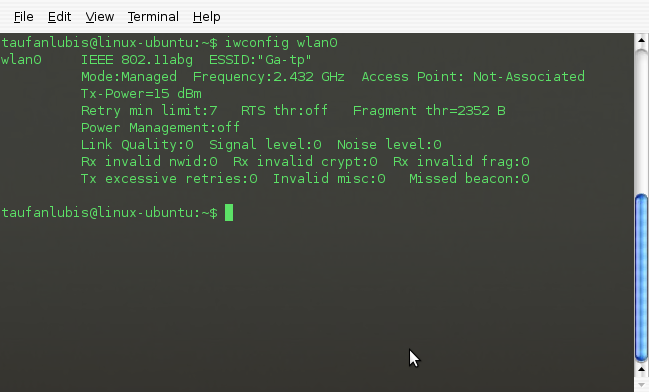 Open your Linux Terminal (Applications > Accessories > Terminal). Step 1. Create XAMPP password. 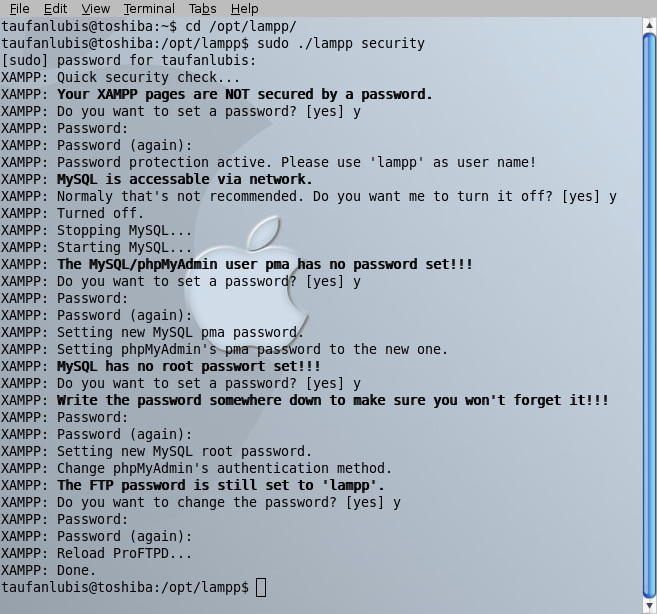 In Linux Terminal, type “sudo ./lampp security”. Note: your userid is ‘lampp‘. Step 2. Turn off MYSQL access via network. Note: Don’t forget it or you will can not access your Mysql server as root anymore. Go back to your Xampp main screen. Now, xampp will ask for password. Enter ‘lampp’ for User Name and enter your security password. From XAMPP main screen, click the ‘Security’ link again. Now, your xampp is secured with password and can not be accessed from network.